For three years now, the team of Nelio Software from Barcelona, Spain, has been investigating the dissemination of WordPress as an engine of the websites of the 5,000 fastest growing businesses of the year. The foundation is the list Inc 5000 from Inc.com. In 2015, WordPress already made up a share of over 42 percent amongst the top 100 of the Inc. 5000. In 2016, this value jumped to over 60 percent, while settling at a slightly lower level of 54 percent in 2017. The spread among the top 100 of the Inc. 5000 is especially interesting, as these businesses are heavyweights where the website costs are only a subordinate factor. This effect is pretty clear when looking at the more general CMS usage statistics on Built With. In the top 10,000 websites, WordPress makes up an impressive share of 38 percent. In the top 100,000, the share is 43 percent, and it’s at 51 percent in the top million. It’s pretty clear that with lowering significance and increasing cost relevance, the tendency for using WordPress rises. 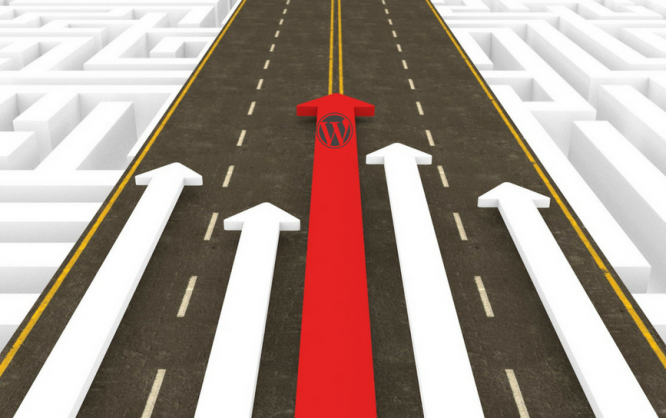 For small and medium-sized websites, WordPress is pretty much the logical choice. Ten thousands of plugins and themes leave almost no need uncovered. There’s barely anything that can’t be done with WordPress (almost always for free). For the future, we should expect WordPress to establish its position at the top even more. With the REST API and the keyword Headless CMS, applications that could not be created with the system before, become possible. The REST API allows you to basically use WordPress as a data backend, while the frontend application can be created completely independently, and does not need to be related to WordPress outside of the API access. This also explains the term headless. WordPress is robbed of its visible part and only runs as the engine under a completely different hood. For the small, and medium web presences, this won’t really matter. Here, I expect bigger changes from the new Gutenberg editor, which will become available in April of 2018, with WordPress 5. Last but not least, let me say something regarding the numbers. According to Built With, there is a WordPress share of 38 percent among the top 10,000 of 2017, with a rising tendency the wider the top list gets. The crawlers of W3Techs detect a WordPress market share of 59.9 percent in the top 10 million. Behind that number, there are only 29 percent of websites from the top list, as the market share only refers to the sites that run on a CMS. 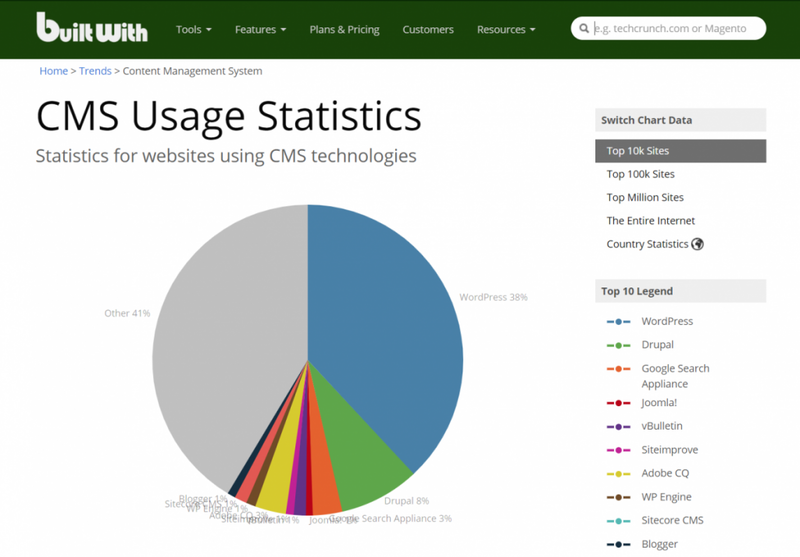 According to W3Techs, however, the majority of web presences, at 51.4 percent, don’t have any underlying CMS.